Punta Gorda. Photo courtesy of UB. A major aspect of my research in Belize involves trying to get an understanding of how families manage their health, given the various options available to them. After spending a good year in the community, I had in mind to speak with the female head of the household. Wives, mothers, and grandmothers are often the decision makers when it comes to matters of health in southern Belize, and they are most often familiar with the health issues and events faced by their families. My challenge with this stage of the research was not so much where to find participants, but how to most effectively go about recruitment. My goal was to cover the economic and ethnic diversity among households throughout the community, necessitating the need to cover the varied geography that exists there. Going door-to-door would be the surest way to get that coverage. Time of day would be a factor in my success as well, and most women who do not work outside the home have the most flexible time during the day while their children and partners are usually out of the house. However, there was a problem inherent with this plan. As a male researcher, going door to door to visit women during the day while nobody else was home might raise some eyebrows around the community. In a town of around 5,000 people, rumors and gossip starts and spreads quickly. With no easy solution, I put off starting this particular phase, and focused on other aspects of my research and other projects I had become involved with. 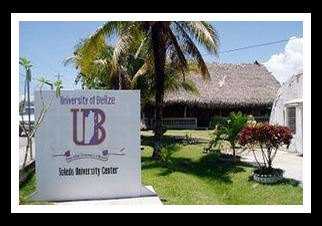 One of these projects was with students from the local branch campus of the University of Belize. The course offerings are not extensive here, but students have to take a number of social science classes, including sociology, communications, history, and research methods. Their texts and materials are from the U.S., and are usually an edition or two old. My next door neighbor happened to be a student, and when she found out that I had experience teaching at a university in the States, she began asking occasional questions about different readings or assignments. Pretty quickly, a small group of her friends began congregating at my house for informal tutoring sessions. Textbooks with most examples from the U.S. often required further explanation than they are usually able to get in Belize, and I proved exceptionally useful in that way. I also guided them through problems, assisted and consulted with projects, helped them study for exams, and edited their papers. It was a rewarding experience, as I saw grades improve, and even saw a few of the students graduate. Little did I realize at first that my volunteer efforts with these students would end up having an effect on my research. Our tutoring sessions began in the fall semester, and we continued into the spring. As I got to know some of the students better, they began to ask me more about my own work and research. One student in particular enjoyed her social science classes above her other business-oriented schedule, and took a keen interest in my project. She was especially impressed that I was looking to talk with local women, whose voices are not often heard in matters of public interest. She began to offer her own insight on when best to talk with women, and even how I should go about the whole process, given the potential issues described above. Suddenly, the idea clicked in my mind. I asked this student if she would be willing to work as a research assistant with me. I offered more in-depth training in qualitative research, and a very small stipend based on the number of interviews we conducted. She was surprised at first, and unsure. “How can I help you, someone who has taught at the university before?” she asked. “I can’t do interviews!” She was skeptical and thought I was just offering her the work to help her out as a single mother with two teenaged boys. I assured her that this arrangement would be mutually beneficial. I explained that she would accompany me during interviews to help assure women that I was there without ulterior motives, and present a more acceptable image to the wandering eyes that would see us going door to door. Then it all clicked in her head as well. She would gain some experience and a better understanding of how and why research is conducted, while also returning my favor of tutoring. She was interested as well in seeing how other women in her community were managing the health of their families. The arrangement ended up working out better than I could have expected. We held lengthy interview sessions with over 60 local women, and were not turned down outright by a single person. Our daytime approach worked quite well, and there was never any concern about my intentions. We worked it out so that my assistant would introduce us and explain the project and why we were there. Well-liked in the community, she gained trust easily. The benefits of having an assistant present went well beyond just the introduction and entrance however. After we had a few sessions completed, her comfort level began to grow as she better understood what I was interested in getting at through our interviews. And even though all the interviews were conducted in English, Kriol is the preferred language in most households, and many women, especially the elders, would occasionally need clarification or explanation in Kriol. While at this point, I understood Kriol, I was not a speaker of the language, and our sessions usually turned into a three-way conversation with two languages going on at the same time. And my data became much richer than it would have otherwise. I hadn’t originally planned to use a research assistant, and so hadn’t given much thought to how it could be beneficial. Now, I am beginning to think that the right assistant is essential to a thorough project. I was fortunate to cross paths with the right person – an enthusiastic university student with the interest and the time. My stipend was small, but I don’t think this was where my assistant gained the most anyway. Through the interviews, I saw her confidence grow, and she became more comfortable talking with people she didn’t really know. She became a person that the other students began turning to for help and advice. She also used this experience to apply for a research project with a market research company, and got the job. At the same time, a major piece of my research got completed with depth and expediency, two things that are difficult to guarantee. This column originally appeared in the American Anthropology Association's Anthropology News. Good idea to go to the university for assistance with your research. I wonder if this is a common practice in the field? You paint a much different picture of Belize than is being shared through all of that McAfee mess.